This Fiber Transceiver / Media Converter is designed to convert data signal between 10/100Base-T/TX and 100Base-BX Fast Ethernet. Maximum transmission distance 30 kilometers over Simplex singlemode fiber @ 1310T 1550R. Single SC Connector. 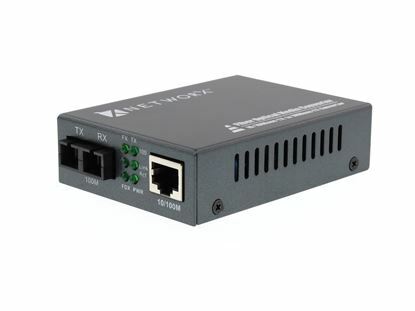 This Fiber Transceiver / Media Converter is designed to convert data signal between 10/100Base-T/TX and 100Base-BX Fast Ethernet. Maximum transmission distance 30 kilometers over Simplex singlemode fiber @ 1550T 1310R. Single SC Connector. 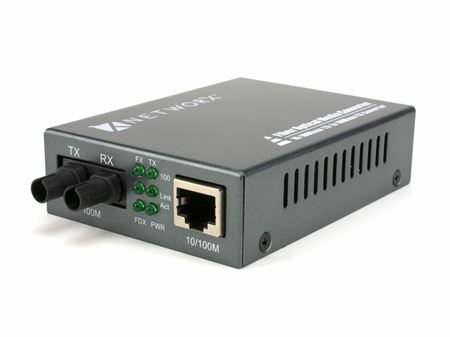 This Fiber Transceiver / Media Converter converts data signal between 10/100Base-T/TX and 100Base-FX Fast Ethernet. Supports 50/125, 62.5/125, or 100/140 micron multimode Duplex LC fiber. 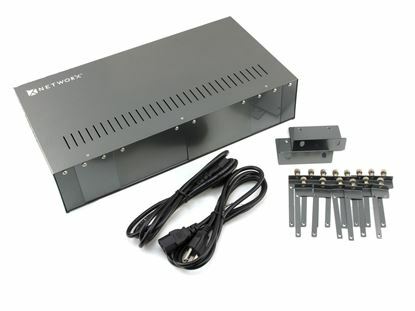 Optical wavelength 1310nm, Maximum distance up to 2km. This Fiber Transceiver / Media Converter is designed to convert data signal between 10/100Base-T/TX and 100Base-FX Fast Ethernet. Maximum transmission distance 20 kilometers over duplex singlemode fiber (9/125 micron) @ 1310nm. Duplex LC Connector. 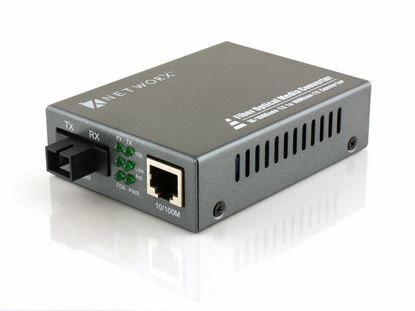 This Fiber Transceiver / Media Converter converts data signal between 10/100Base-T/TX and 100Base-FX Fast Ethernet. Supports 50/125, 62.5/125, or 100/140 micron multimode Duplex SC fiber. Optical wavelength 1310nm, Maximum distance up to 2km. 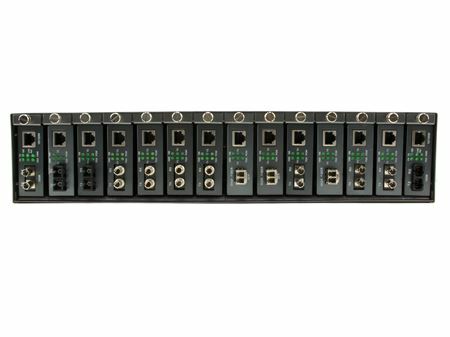 This Fiber Transceiver / Media Converter is designed to convert data signal between 10/100Base-T/TX and 100Base-FX Fast Ethernet. Maximum transmission distance 100 kilometers over duplex singlemode fiber (9/125 micron) @ 1550nm. Duplex SC Connector. This Fiber Transceiver / Media Converter is designed to convert data signal between 10/100Base-T/TX and 100Base-FX Fast Ethernet. Maximum transmission distance 20 kilometers over duplex singlemode fiber (9/125 micron) @ 1310nm. Duplex SC Connector. 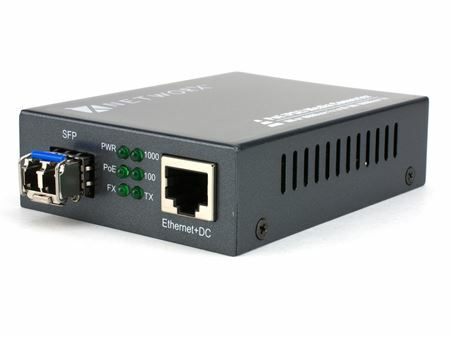 This Fiber Transceiver / Media Converter converts data signal between 10/100Base-T/TX and 100Base-FX Fast Ethernet. Supports 50/125, 62.5/125, or 100/140 Micron multimode Duplex ST fiber. Optical wavelength 1310nm, Maximum distance up to 2km.